Why did the horse keep falling over? Why can you never take balloons seriously? Because they’re full of hot air! 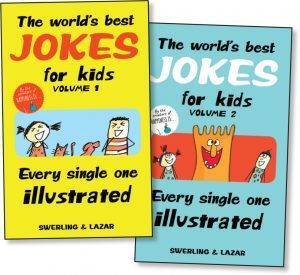 We’re having a blast with The World’s Best Jokes for Kids, Volume 1 and Volume 2. And you and your students can, too. What happens to astronauts who misbehave? Give it your best guess or Google it if you must. Then scroll down to check out this week’s fun freebies and great offers. 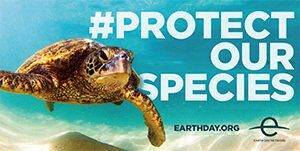 Get ready for Climate Education Week, which starts April 15. Download a free Climate Education Toolkit with a week’s worth of activities. Go to earthday.org/earthdayinabox. 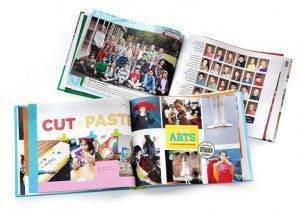 Are you involved in creating your school’s yearbook? Check out the options available from Shutterfly. Find out more and get a free quote at shutterfly.com/yearbook. Grab your art supplies and get students ready to enter the Blick Mixed Media Art Contest. 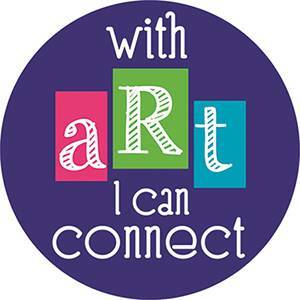 Students in grades K–12 create artwork and complete the statement “With art I can connect to…” Entries are due April 12. Click here. Did I mention that the joke books are illustrated? Even better! PS: This is it! Last chance to enter our WIN contests. They’re ending tomorrow! They have to go to time “out”! Houston, they have a problem. . .They are grounded! His parents made him take a meteor shower to clean up his act!!! They’re grounded of course. Here’s another astronaut joke: How do you get an astronaut baby to sleep? Rocket. They’ve got to be grounded. He has to say he is starry. They get grounded of course!!!! ???????????????????? They are sent outer th’ space. They have to go to their moon. They are grounded! Haha ???????? They are sent to the dark side of the moon without supper. They get a countdown. If that doesn’t work, they are grounded.